Asian Conference on Language Learning (ACLL), Kobe, Japan. April 27-29, 2018. Psychology of Language Learning Conference (PLL3), Tokyo, Japan. June, 2018. Independent Learning Association (ILA) Conference, Kobe, Japan. September 2018. 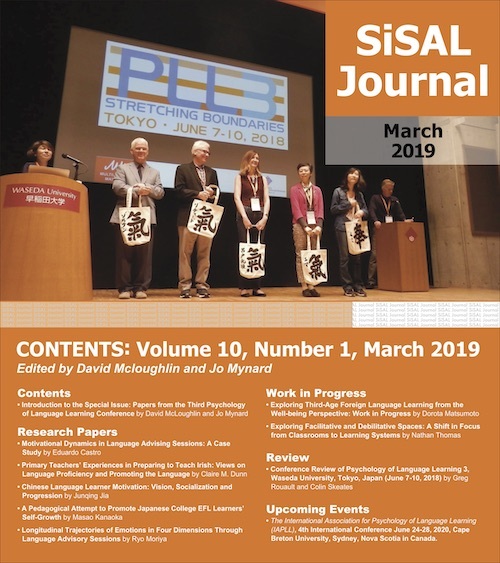 Call for Papers: Special Issue of SiSAL Journal. 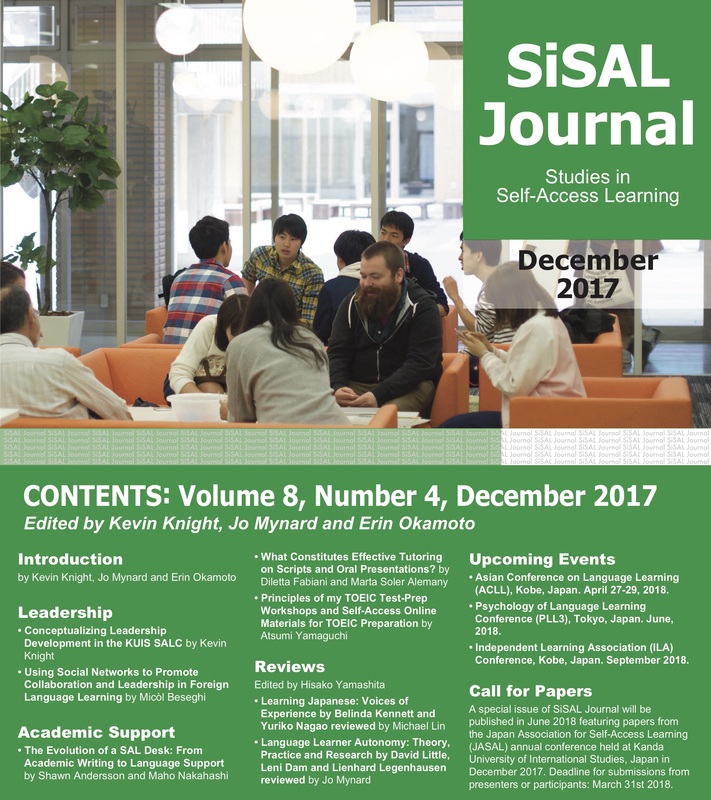 Selected papers from the 2017 Japan Association for Self-Access Learning (JASAL) Conference. Cover photo: Global Plaza, Meijo University, Nagoya, Japan.